The Curio Shoppe is located on the Courthouse Square in Greensburg, a small community in southeastern Indiana. Greensburg is located directly between Indianapolis, Indiana, and Cincinnati, Ohio, making it a favorite stop for many travelers. 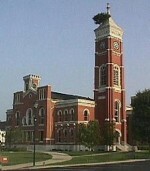 While in Greensburg, every visitor must see the world famous Tower Tree, a small tree growing out of the top of the Greensburg Courthouse tower. The square surrounding this courthouse is full of many small businesses and shops that are perfect for a leisurely day-time visit, including The Curio Shoppe. To learn how to reach The Curio Shoppe, visit Yahoo! Maps. 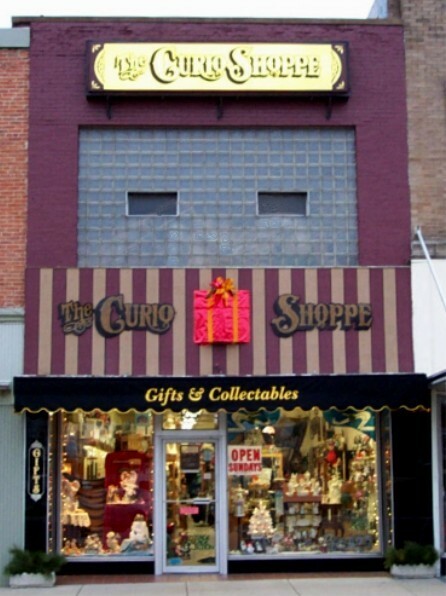 The address for The Curio Shoppe is 105 N. Broadway, Greensburg, Indiana, 47240.